1992. The Bosnian War has been described as the bloodiest European conflict since the Second World War and caught up are families such as that in this novel. This is a story of two sisters, Hana who is only 12 when she is sent by her family to Croatia on one of the last UN evacuation buses to escape the war and 21 year old Atka who stays behind in Sarajevo to look after their younger siblings. Hana’s family expects to follow in a few weeks, but the escalation of the Bosnian War stops them, leaving Hana alone, battling for survival in a refugee camp, while her sister, tries to survive in a city where snipers, mortar attacks and desperate food shortages are a part of everyday life. Will they every see each other again? Just like Nelson Mandela, Martin Luther King and Mahatma Gandhi, the leader of Burma’s democracy movement, Aung San Suu Kyi, has become an icon for freedom. All over the world, she is associated with a peaceful struggle for democracy and human rights. But who is she really? And what drove her to make such enormous personal sacrifices for her country? Author and journalist Jesper Bengtsson pays tribute to Aung San Suu Kyi’s magnetism, charisma and courage in this biography of one of the most talked about political personalities of our time. 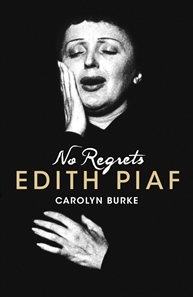 A new biography of one of the most beloved singers of the twentieth century, this book uncovers the extraordinary life of Edit Piaf – more than just a singer, she was a mentor to other singers, aiding the Resistance in World War II, but was afflicted with her own tragedies losing an daughter in infancy, her greatest love in a plane crash, her illnesses, affairs, and addictions. 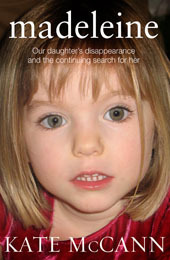 We all know the story of Madeleine McCann, abducted from a hotel room in 2007 while her parents were having dinner downstairs. There has been many stories over the last few years as to what happened to Madeleine, but this is the first account from “the horse’s mouth” so to speak. As Kate McCann writes in the forward to the book “It has always been my intention to set down a complete record of what happened to our family, for our children, Madeleine, Sean, and Amelie, so that, when they are ready, the facts will be there for them to read”. For the music fans two new biographies have hit the shelves, Does the Noise in my Head Bother You?, an autobiography by Steven Tyler, lead singer of Aerosmith and Behind the Shades and updated edition of this biography of Bob Dylan.